I find it very appropriate that the Spring issue of our Newsletter, leading up to our Annual Conference, puts the spotlight on Research. Our society grew from its roots in the Pediatric Sedation Research Consortium (PSRC), and our conference provides a fantastic venue for renewing that growth. Some research highlights will include the poster session Monday evening, three platform sessions on Tuesday morning, and a “Top Articles of 2018” session as well as oral abstracts on Tuesday afternoon. Thanks to Dr. Jim Hertzog for coordinating the SPS abstract submission process once again this year, and to all who submitted abstracts! The Platform sessions promise to be entertaining and enlightening, with presentations by Drs. Dan Tsze and Kevin Couloures (SPS Research Committee chair and chair-elect) on the pros and cons of working with large databases like the PSRC; a session by our ever-popular founder, Dr. Joe Cravero, on the development of the Sedation State Scale; and a Clinical Research session by subject experts Drs. Maala Bhatt and Jocelyn Grunwell. 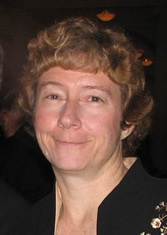 Dr. Grunwell was the recipient of our first ever SPS Scholarly Grant in 2018, and we’ll hear an update on her project, as well as discover the winner of the 2019 Scholarly Grant, during the Tuesday lunchtime Awards Session. I hope all who are reading this message are energized by the prospect of this excellent sedation research content, and if not already registered for the conference, will do so at the first opportunity! In addition to preparing for their role in the conference, Research Committee leaders Drs. 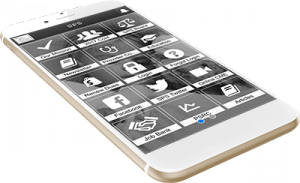 Dan Tsze and Kevin Couloures deserve kudos for an ambitious project involving personal phone contact with all 50+ institutional members who are currently entering data into the PSRC. The intent of this project is to reconnect with the principal investigators at each facility, to ensure processes for maintaining data integrity are followed, and to answer any questions posed by our institutional members. If you are part of an institutional PSRC data-entry team and your facility hasn’t been contacted yet, please let Dan know. Another Research Committee project of note is the creation of a Survey Science Subcommittee, under Dr. Dan Sedillo. See Dan’s excellent summary of the rationale behind the subcommittee and its potential for organizing the SPS survey and questionnaire process in this issue. I’d like to conclude my spring message by highlighting the work of some of our members who are advancing the pediatric sedation research agenda by representing the SPS in outside organizations. The SPS was fortunate to participate in the 2018 Academic Emergency Medicine (AEM) Consensus Conference on “Aligning the Pediatric Emergency Medicine Research Agenda to Reduce Health Outcome Gaps.” This conference took place in May 2018 at the SAEM Annual Meeting in Indianapolis. Representatives from individual research networks that contribute to pediatric emergency care research came together to develop consensus-driven global research priorities. Dr. Corrie Chumpitazi participated as the SPS’s PSRC representative during a year-long process to develop a research priority list, which was finalized at the in-person meeting. With SPS participation and advocacy, pharmacology of emergency conditions (specifically pain and sedation) was included as one of the top five research priorities along with sepsis, trauma, respiratory conditions, and mental health emergencies (https://www.ncbi.nlm.nih.gov/pubmed/30393902). And on the hot topic of neurotoxicity related to sedation and anesthesia, Dr. Pradip Kamat (SPS liaison to the Pediatric Subcommittee of the Society for Critical Care Medicine) and Drs. Mallory, Simon, and Sulton (among others) recently published an article outlining the extent of sedation exposure outside of the OR in young children at their facility in Atlanta (https://www.sciencedirect.com/science/article/pii/S1876285918307186). SPS member Dr. Jonathan Bennett has taken on the role of SPS liaison to SmartTots; see his summary of the state of neurotoxicity research in this issue. 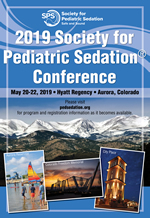 In summary, thanks to all who work hard to produce and promote new pediatric sedation knowledge–both within the SPS, through the PSRC, our Annual Conference, and through collaborative research relationships with other organizations. 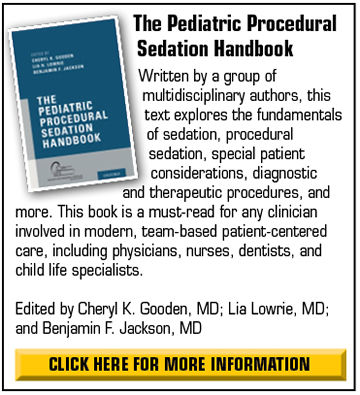 Your work is advancing the safety and quality of pediatric procedural sedation. Looking forward to hearing about it in person at our Annual Conference in May!